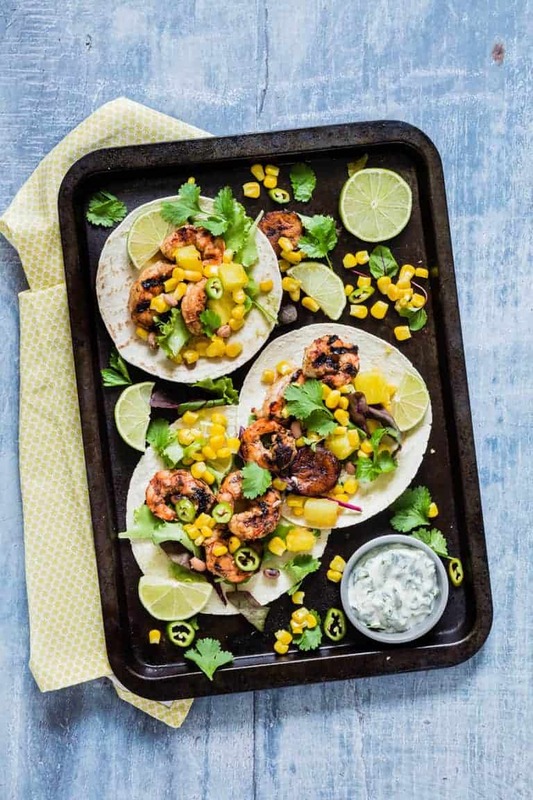 These Jerk Shrimp Tacos with sweetcorn, mango and pineapple will make the perfect flavourful addition to your BBQ!! They are suitable for Gluten-Free diets. Post includes Weight Watchers points. 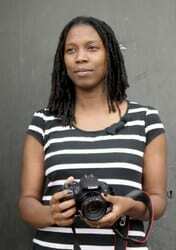 Hey Peeps. 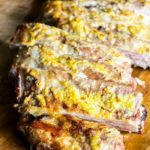 Are you looking forward to BBQ season? 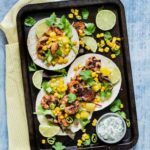 Because if you are, then you might want to investigate these jerk shrimp tacos with sweetcorn, mango and pineapple. Because once you do, you might just find yourself addicted, to both the shrimps and BBQ’s, in a very good way. This recipe is so simple to make. First fire up your BBQ (or your grill if you prefer). Then start out with some really gorgeous and tasty red shrimp. Just add some jerk seasoning paste, grill them for a few minutes on each side and you are good to go. See, I told you. Eeeeeeeeeasy. Then the toppings. Oh the toppings people. Pineapple + mango + sweetcorn + jerk shrimp = awesome tacos = result. 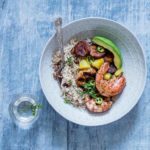 Imagine each mouthful coming with a burst of spicy jerk shrimp, creaminess from the sweet corn and juicy sweetness from the pineapple and mango. Again (I really want to emphasise this folks, because it is something that is close to my heart), using frozen fruits and veggies here means it is dead easy, and also you don’t waste anything. Just take as much as you want from the bag and put the rest back in the deep freeze. No need to worry about odd halves of pineapple going off, or anything like that. There are 8 Weight Watchers Freestyle points per serving. Now enough talk. 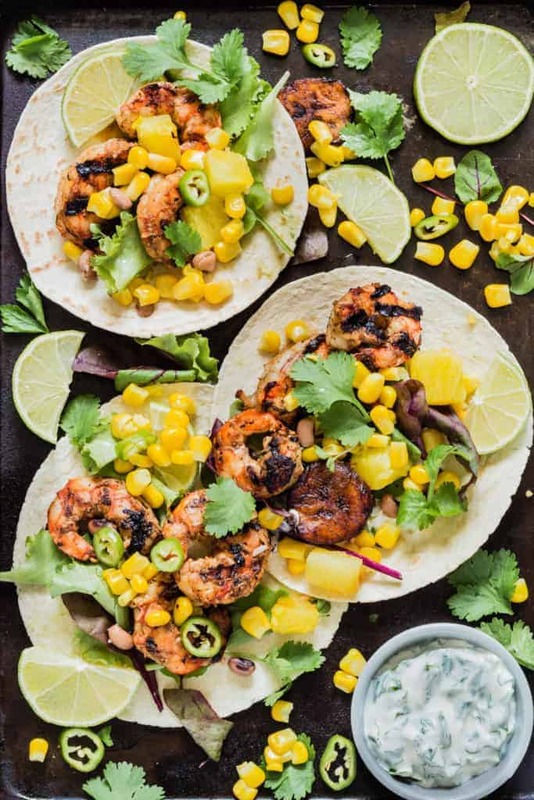 Here is how to make these jerk shrimp tacos with sweetcorn and pineapple and mango. 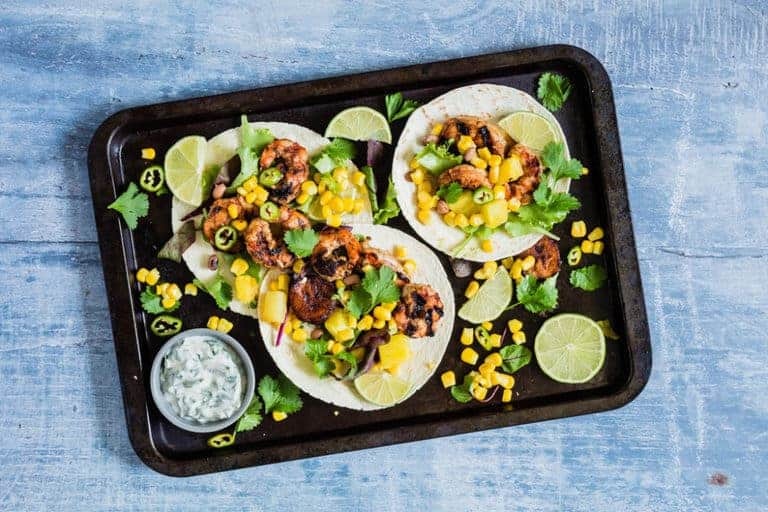 Don't forget to tag #recipesfromapantry on Instagram or Twitter if you try Grilled Jerk Shrimp Tacos with Sweetcorn, Pineapple and Mango! It is really, really awesome for me when you make one of my recipes and I'd love to see it. You can also share it on my Facebook page. Please pin this recipe to Pinterest too! Thank you for reading Recipes from a Pantry. ire up the barbeque and wait till the coals are medium hot. If using a grill then preheat the grill to medium. Oil the grill plate and place the shrimps on a griddle on the hot barbeque (or grill) and grill them for 2-3 mins on each side until they are cooked through and transfer them to a plate. Make the herbed sour cream by mixing together the ingredients and setting aside. Assemble the tacos starting with the tacos, jerk shrimps, the fruit, sweetcorn, chilli, herbs, plantains (if using) and the herbed sour crème. Garnish with lime slices and serve. Oh yeah to salsa with a spoon. I adore Iceland’s shrimp! They have so many varieties and they’re all fab! This recipe looks excellent, love how convenient frozen food from Iceland is! The Iceland Foods seafood section is seriosuly my favourite place to check out. These tacos look amazing! 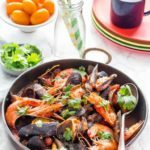 I love fruit on seafood- it’s perfect! And I almost always buy frozen seafood- I’m paranoid about seafood that’s been thawed out at the grocery store for an unknown period of time ick! You certainly know what quality you are getting with Iceland Foods. What a great combination of flavors. I see today’s lunch! Ooh, now I am definitely excited about BBQ season. Such wonderful flavors. I love those seasonings. That sounds like a wonderful mystery box! My favourite kind of mystery box. How yummy! All of those flavors sound absolutely amazing together, and I love the sweet and spicy combo. The hubby would love these! I would like to offer my services as an official taste tester — starting with these tacos. The flavors you’ve assembled here are right up my alley! These look so healthy and flavorful! My family would love them! These are a fun fsmily meal. I love having taco Tuesdays and you’ve firmly convinced me to get some fruit in them! I love how frozen foods help to reduce food waste as well! I need to have more taco tuesdays. 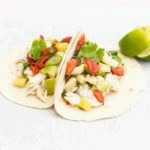 I have some of these Iceland shrimps in my freezer, and I’m not sure what to have for lunch today so I’m thinking to quickly make these tacos! They sound very tasty with all the great flavours.